Nintendo's newest flagship title is doing well in its native country, but will it beat Modern Warfare 2 in worldwide sales? 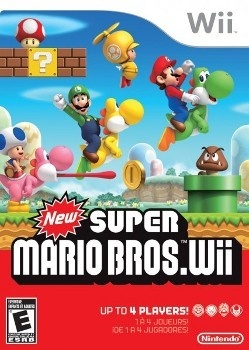 According to the Japanese magazine Famitsu, Nintendo sold 936,734 copies of New Super Mario Bros. Wii in the first week it was available in Japan, between December 3rd and December 6th. That total beats out the previous record-holder for a Wii title, Super Smash Bros. Brawl with 816,000, for the most copies sold in its debut week in Japan. It doesn't take a genius businessman to predict that Mario would sell well, especially in the country in which he was born (not Italy.) But back in November, one analyst went so far as to posit that New Super Mario Bros. Wii might actually beat Modern Warfare 2 in worldwide lifetime sales, mostly due to the Mario franchise's ongoing popularity in the island country. In case you forgot, Modern Warfare 2 made over $550 million over its first week of sales. It's no secret that foreign games do not sell well in Japan, so a game like Mario selling like hotcakes on its home turf is only good news for Nintendo and the Wii platform. But will it beat the money-making juggernaut of Modern Warfare 2? Time will tell.